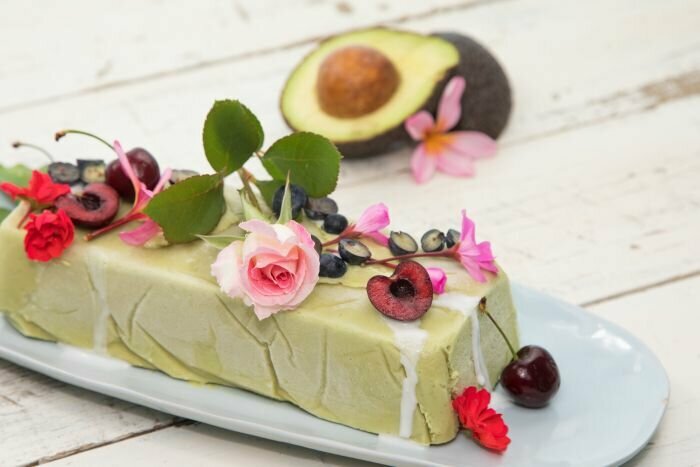 Move over smashed avo – have you tried avocado desserts? The avocado industry is looking to explore non-traditional uses for Australia’s favourite breakfast fruit to promote the industry and further demand growth. And while the humble avocado on toast is tipped to remain a staple well into the future, avo and banana popsicles, brownies and a chocolate mousse are broadening the options. As the North Queensland picking season kicks off, data shows the huge plantings of trees nationwide will soon mean more than 100,000 tonnes produced annually in Australia. Avocados Australia CEO John Tyas said domestic farms were on track to produce 115,000 tonnes by 2025, nearly trebling 2007/08’s production of 40,000 tonnes. “We’re seeing demand growing on a year-to-year basis quite steadily and we’ve seen that for at least 10 years,” he said. Grower Matt Fealy from Blue Sky Produce manages 5,000 trees near Atherton and said prices would never reach highs of previous years, when a tray made up to $70. “There’s a lot of avocados going in, not only in my region but all over Australia, because of those historically high returns,” he said. “Those kinds of high prices just can’t be maintained, realistically [but] that’s not to say they’re getting down to below cost of production, like our mangoes were this year. Avocados Australia is also working on a campaign to improve the consumer experience of fruit and reduce the likelihood of shoppers buying a dud avo. “I think avocados as a product tick a lot of boxes. It’s a very unique product, there’s nothing quite like it,” Mr Tyas said. “The key thing we’ve got to work on is to continue to improve quality. While the humble avocado on toast is tipped to remain a staple of Australian consumption well into the future, a push to include the fruit in a wider range of dishes is gaining traction. Matt Fealy said expanding culinary use was a critical part of soaking up booming production. “We’re going to have to teach the Australian consumer how to enjoy their avocado in new ways, in a sweet format,” he said. Cook and blogger Kim McCosker from the Sunshine Coast said the avocado was much more than just a breakfast item, with a myriad of kitchen uses. “There are lots and lots of ways you can use your avocado beyond smashed avocado on toast and Mexican dishes,” she said. Avocado and banana popsicles, brownies, and a chocolate mousse were other recipes Ms McCosker has experimented with. “Generally, a mousse is eggs and there’s a lot of people with egg allergies now, so we developed this recipe that’s lactose, gluten, and egg-free,” she said. Increasing the year-round availability of avocado is highlighted by figures showing 26 per cent higher volumes of fruit entered the market in December 2018 compared to the same time in 2017. Have you seen “The Complete Avocado Cookbook ” ? Published by Bay Books a few years ago. ISBN 1 86256 275 X BB84R88 Has heaps of recipes for every occasion.